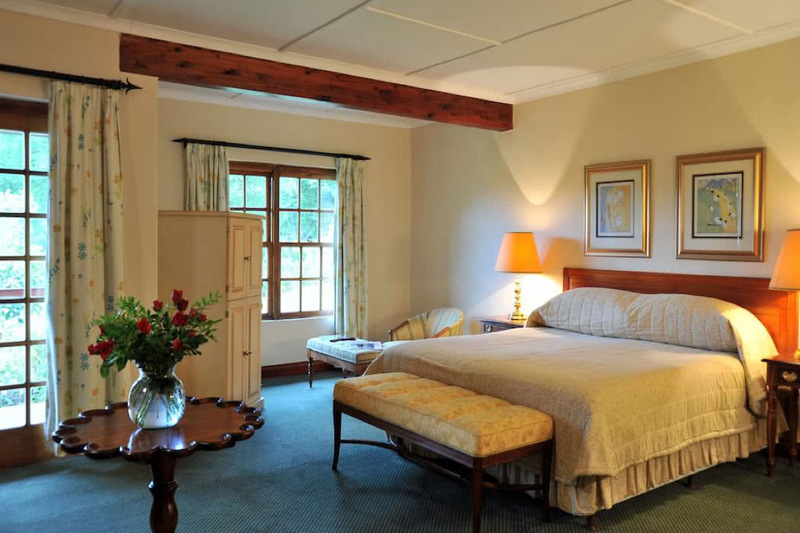 The excellently located Coach House Hotel & Spa in South Africa is an ideal base to explore this magnificent country while relaxing in refined luxury. 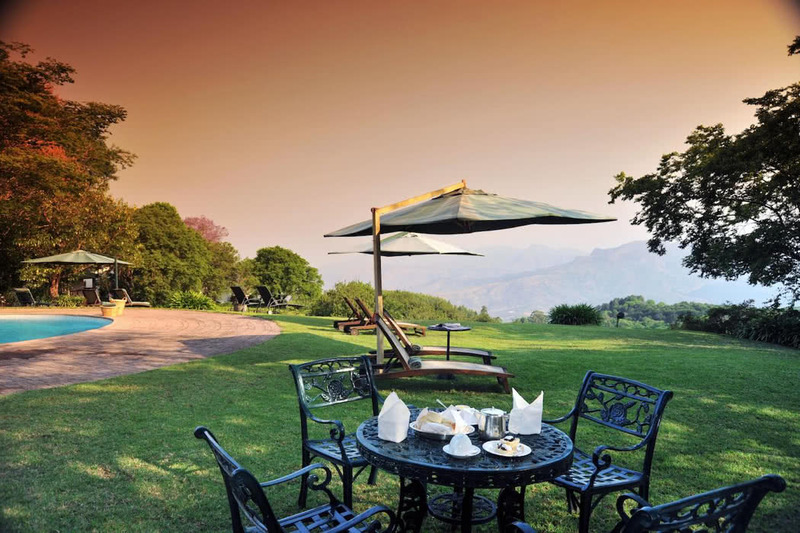 The hotel is located on the Agatha Forest Reserve in Limpopo, 16km from the centre of Tzaneen. 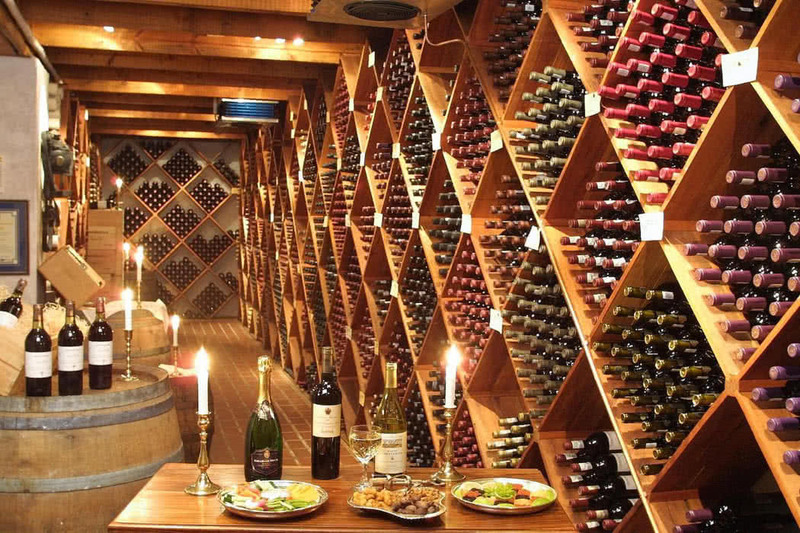 You are just four hours’ drive from Johannesburg and three and a half hours from Pretoria. 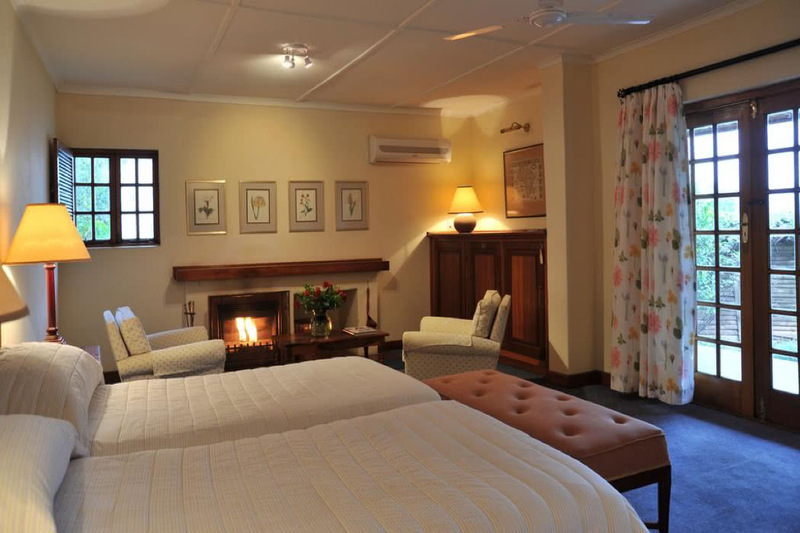 The hotel is often used as a stopover for visitors heading to the world-renowned Kruger National Park. 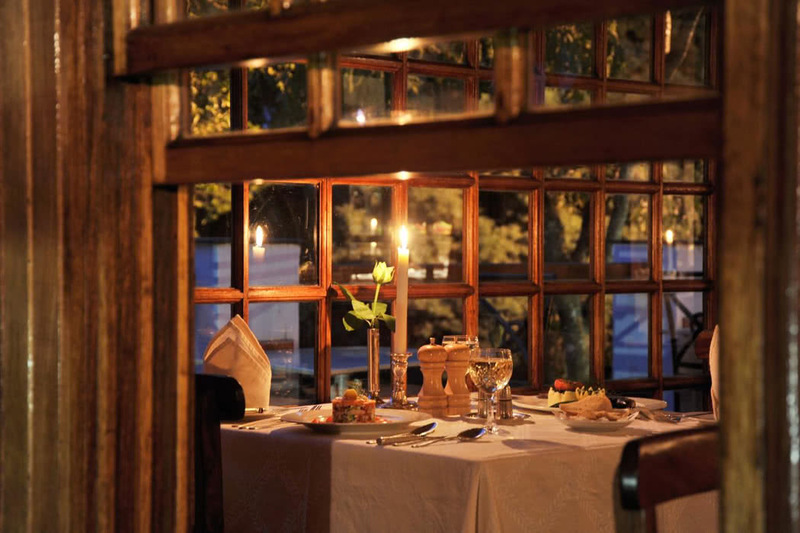 There is also much to entertain locally, the area is rich in historical significance with local attractions including the world’s largest Baobab Tree, the Agatha Crocodile Ranch, the Wegraakbosch Cheese Farm and the Lekgalameetse Nature Reserve all waiting to be explored. 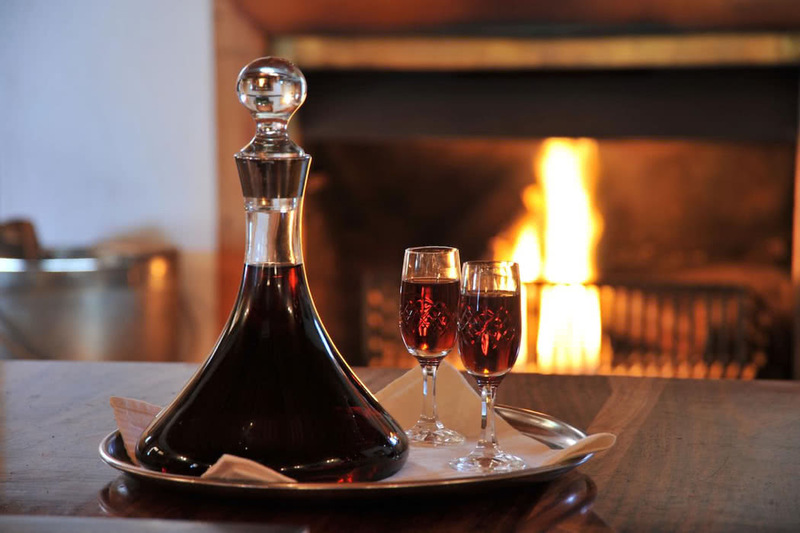 South Africa is one of those great all-year round destinations. The summers here are hot and humid and run from November to March so April to December may be your best bet. If you are heading to Kruger National Park, it’s best to go at the beginning or end of the dry season there which lasts from April to September. International guests will probably want to fly into Johannesburg, you can then drive or fly into local airport Polokwane. Direct flights from London to Johannesburg take 11 hours or it’s 14.5 hours from New York. 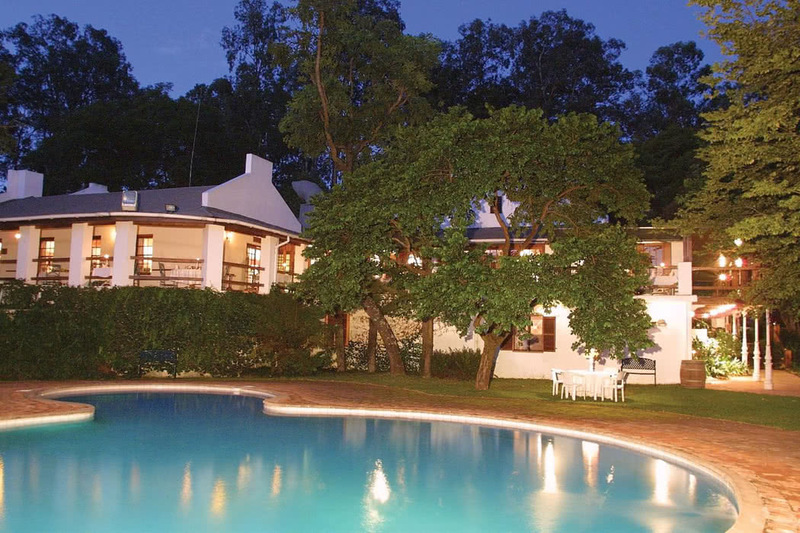 The Coach House Hotel & Spa is synonymous with elegant colonial luxury. It is a sophisticated place that instantly calms the soul and the epic views across the green Letsitele Valley keep you feeling the zen. 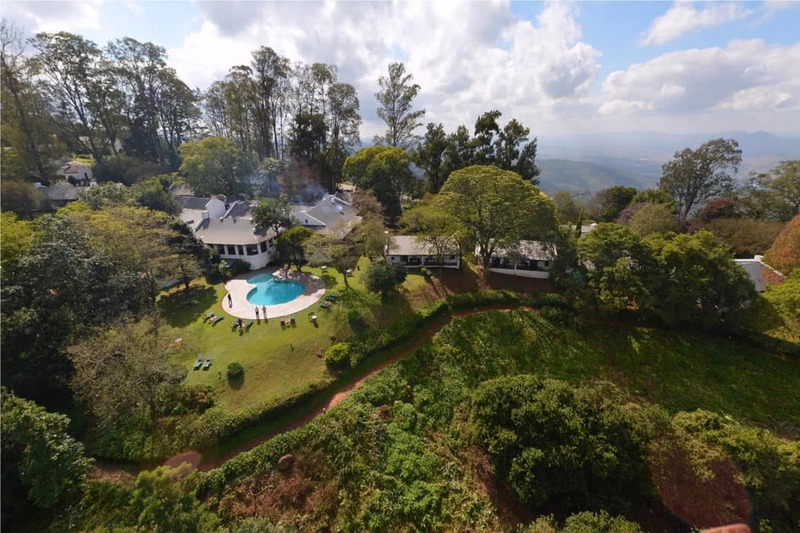 The hotel buildings themselves are surrounded by stunning scenery with orchards, macadamia plantations and beautifully manicured gardens. 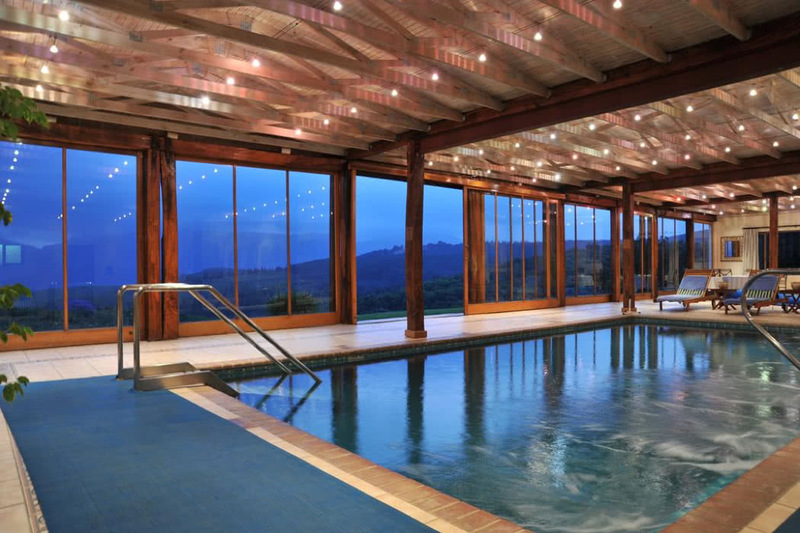 Our favourite facility here is definitely the Agatha Spa which combines ancient Roman hydrotherapy with modern wellness techniques. Relax in the indoor heated pool (or the outdoor pool if those magnificent mountain views are tempting you) then indulge in a treatment. You can partake in everything from massages to facials, from aromatherapy to a mud and seaweed wraps. There’s also a snooker room, you can play croquet on the floodlit lawns and of course, make the very most of the natural world that surrounds you with a hike, nature walk or bird spotting. The staff here seen inherently relaxed and everyone is always smiling; don’t be fooled though, they are extremely efficient and professional. You can stay in a Standard Room but luxury travellers will definitely be tempted by the Deluxe Rooms and very probably by the Suites. 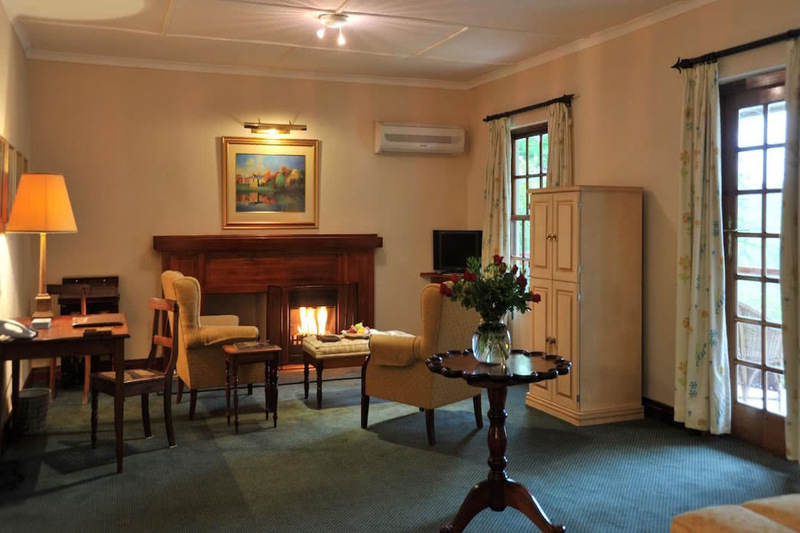 The Deluxe Rooms have a cosy fireplace and a private veranda from where you can enjoy views over those manicured gardens or over the mountains. 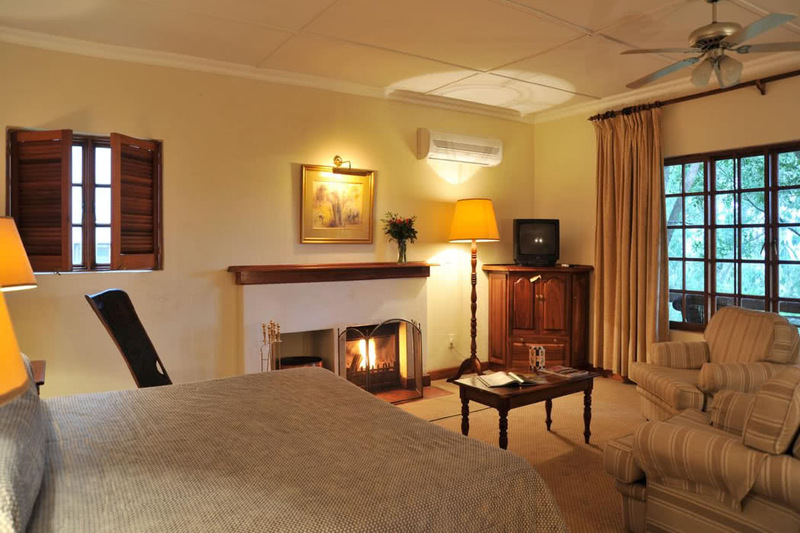 The Suites have a separate lounge with a fireplace and plenty of space to spread out. 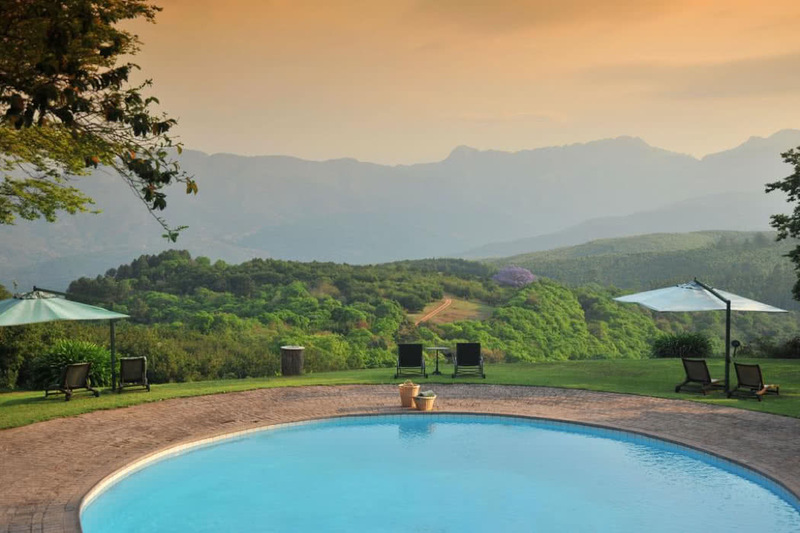 The stunning view from your private veranda is the majestic Wolkberg Mountains. 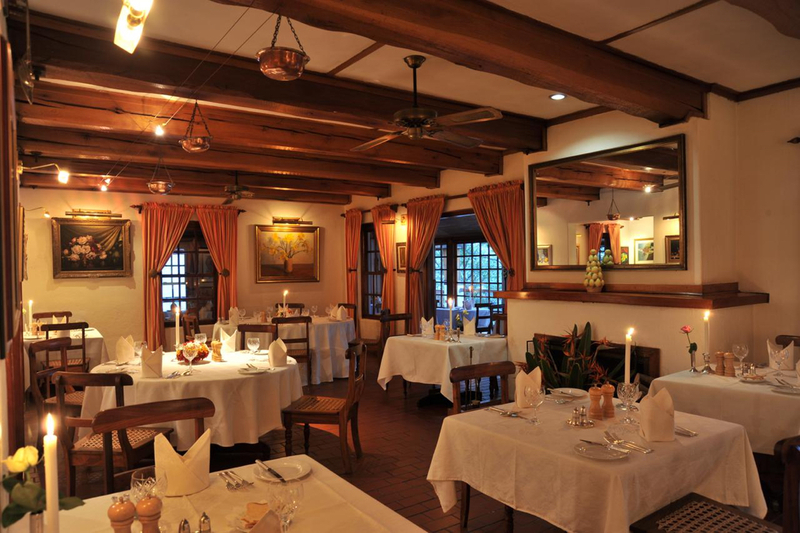 If you are a lover of fine dining, the Zeederburg Restaurant will delight you. 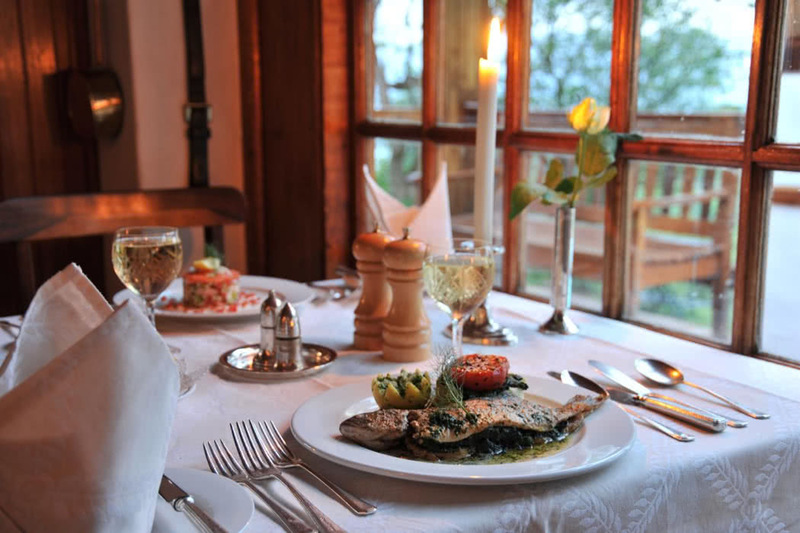 It uses only the freshest local and seasonal ingredients in its award-winning cuisine, all accompanied by a delectable local wine. 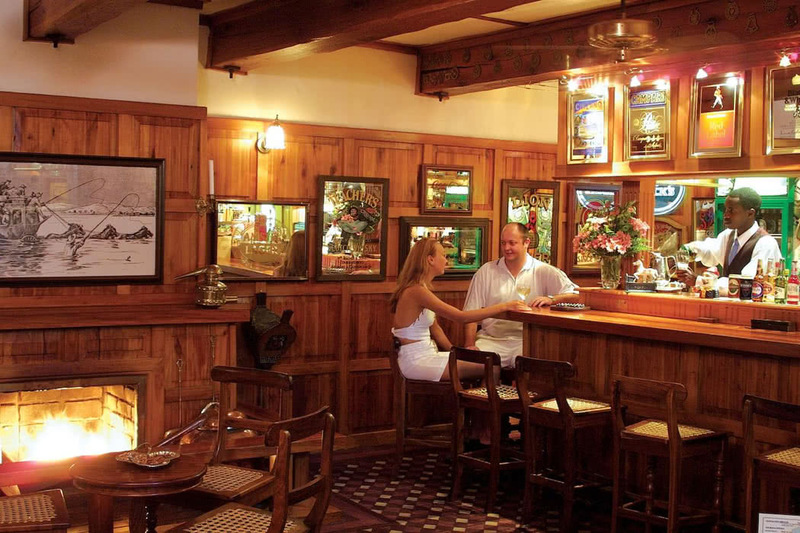 For more relaxed fare, the classic John Buchan pub and bar is a great spot for a pre-dinner aperitif and end the day with an after-dinner beverage by the roaring fireplace. We love this hotel because of its excellent service, great location and those stunning mountain views.